The Buro have a mind boggling vast amount of information stored in their databanks, and the Cyborg Brain is able to tap into this stored data. The host of a Cyborg Brain must undergo extensive dangerous surgery, that involves implanting demonic brain tissue and other organs, that have been subjected to high end arcanowaves, to the tissue of the recipients cerebral stem and cerebellum. This enlarges the subjects brain to such an extent that his skull has to be replaced, in places, by an ARB casing, this sometimes visibly throbs and glows a sickly green colour, and has even been known to ooze a slimy blue puss at moments of stress. The host of the Cyborg Brain is able to use schticks that they do not actually posses, as the arcanowave device downloads the relevant information and knowledge for each schtick into the brain of the host. The Architects have managed to divide the abilities of all those things that we call "Schticks" into two categories; Material Reliant and Knowledge Reliant..
With Materialistic schticks you need "stuff" like Arcanowave devices, signature weapons and a demonic body to hang all those cool creature powers. Knowledge schticks, do not need tools, these include Fu powers, Gun + Weapon Schticks (apart from Signature Weapon, and Lightning reload). With these cyborg slots he can delve into the massive databanks that his brain contains and download ANY Schtick (in the relevant category) for his use. To do this he rolls his Arcanowave Device with the target number being the amount of impairment he is suffering at that moment, this takes 1 shot, and lasts until the slot is changed. On a WAF he blows a few hundred neurons, and suffers a cerebral hemaeorage, hence the blue puss (10 damage). Mutation points, every use of this skill adds one Mutation point. In the case of Fu powers two Mutation points are accrued, the arcanowave soaked cyborg brain seems to have great difficulty containing the mystical knowledge of Fu powers. Sorcery Powers and Transformed Animal Powers are beyond the understanding of the Arcanowave Cyborg brains. Experience point costs for the Cyborg Brain Schticks are brought at the cost of the category they represent. For some reason that eludes the Architect scientists, possibly something to with the saturation of low end arcanowave that Cyborgs undergo during their creation, Cyborgs seem to have a greater resistance to the mutation side effect when fitted with this Arcano device, hence its name. If they ever suffer from a WAF, all their slots are wiped clean and must be filled again. This is on top of the damage listed above. 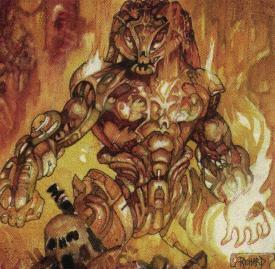 The GM has a right to place the Cyborg in situation where the non-combat fu Schticks are useful such as Prodigious or Abundant Leap, Friend of Darkness, Vertical Charge etc. This simulates all those whizzy effects that Cyborgs seem to have in the movies.